Buried in this article on Google+ & its demise is something I don’t understand in corporate life – bonuses (and share schemes). Personally speaking, I don’t view them as incentives as the variables that go into making a company a success are so immense and not entirely controllable by the individual effort of employees – in this instance strategy was part of the failure. Everyone is motivated differently & that’s totally fine; these systems of reward might work for some people. And it’s not just Google – this was merely the article that started me thinking about it. A story I heard from a friend of a friend a few years ago is similar: they get paid a base and bonus. The managers control where they work & when but often do so in such an ineffective way that the employees don’t get the bonus because they haven’t worked enough that year. To me, that is just utterly illogical. Another place where I heard a lot about bonuses was when someone did many, many hours of unpaid overtime, and then qualified for a small bonus. It was far less than if they had just been paid for their time at (gasp) the normal hourly rate they would get paid for doing their job. Am I the only one who looks at these situations as a total rip-off? But maybe we only hear of the bad situations. Maybe it’s like many things where we don’t take the time to talk about good because the bad sticks in our heads more. Have you ever worked in a place where bonuses were done well? Nope. And now I work in an industry that rarely pays you for your work or just steals it. JOY! Oh yes…that made me so furious when ANZ screwed me over at the end of last year – to read their profits online and then to hear the lame excuse of no one can help me on a weekend – I was fuming. As far as I can tell bonuses are simply a way of paying sums of money to people with little or no accountability. I’ve never heard of them being done well. Mmmm don’t talk to me about bonuses. In a previous workplace, I took on extra duties when a colleague resigned. I got no recognition, thanks or extra pay; my boss got a bonus for “cost saving” by not filling the vacant position. True story! Oh how “kind” of them. I once complained I was doing technical writing at an admin temp job rate to an agency and they told me to be grateful to get experience for the future. I said no, I already have writing skills so if you want me to do it then pay me the appropriate rate. So I refused to do it. But overall I honestly don’t ever think bonuses are worth it! My hubby used to get “bonuses” at QF we would get “free” travel except there is nothing free about it when you add in taxes etc. Plus you are still stand by so you can book a trip and not get on the plane! Oh wow that sounds so complex! I thought most spouse visas allowed them to work? I guess the US is very picky on their working laws, though you’d think for three years they’d WANT her to contribute to their tax income. Agreed! 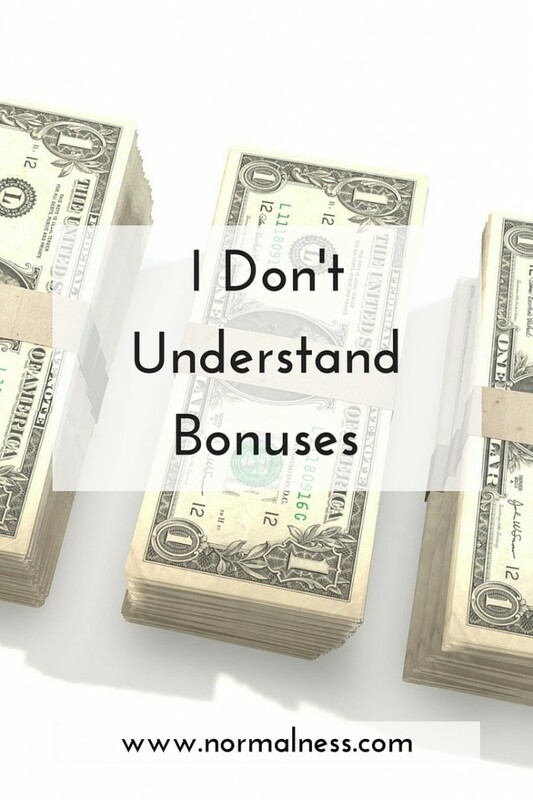 I dont get bonuses – even though I just signed a new contract where a bonus is part of it. My ability to affect the outcome that will trigger me getting the bonus is minimal at best. And don’t even talk to me about big fat CEOs who seem to get million dollar bonuses not matter how badly their company is doing. It’s disgusting! That’s exactly what I don’t understand – no or little control over it so it’s too illogical to be a motivating factor for me. The same with commission only (or very small base + commission) jobs actually – you have no say over how the company is run, how they generate leads etc and yet that’s somehow YOUR financial responsibility? I don’t think sooooo! It actually seems LESS risky to me to work for yourself. I’m not a fan either. I worked in sales when I was in the UK and you had a base then bonus. It just didn’t work for me. You never knew how much money you were going to get. Certainly doesn’t help with financial planning. What you’re described are not really bonuses. A real bonus is a share in the business performance and a reflection of personal performance and achievements in the year. This is rated against peers and goals that were set in the year and how you have or have not achieved them. Based on that it will be a % on my base salary. I always do well because I take ownership in my work and I’m well liked plus i’m a team player. Interesting point – so a real bonus should be less discretionary (like the ones above all seemed to be) and based on actual data? I wonder what makes the companies call the discretionary parts bonuses then. My yearly bonus at the supermarket was a box of chocolates. One time I got the highest scan rate (I was 2 items per minutes faster than everyone else) and they gave me a $20 gift card lol… and that was ridiculously generous for them. They don’t give bonuses to casuals, per se. My husband, on the other hand, gets the more typical bonus that Ling mentioned above. But he’s in financial trading (not a trader, just in a company that does) soooo… yeah. 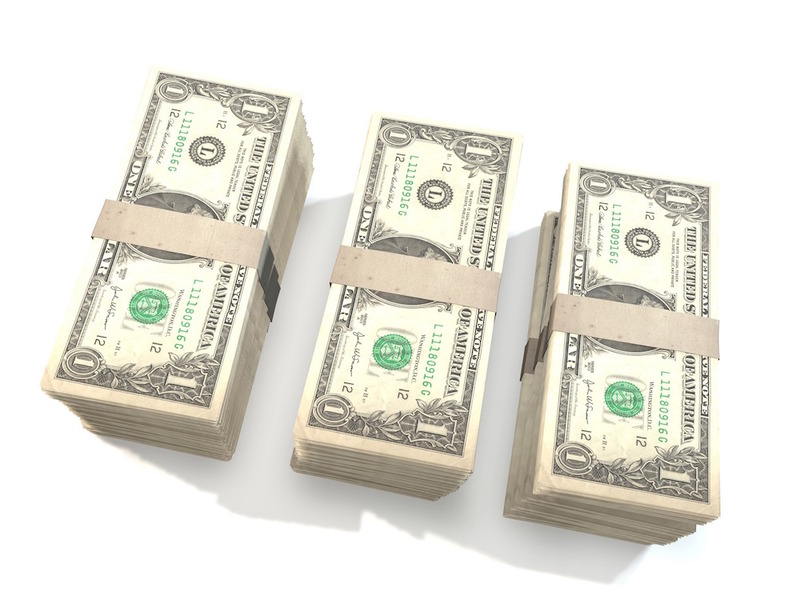 It seems the more lucrative the industry, the more generous the bonus.